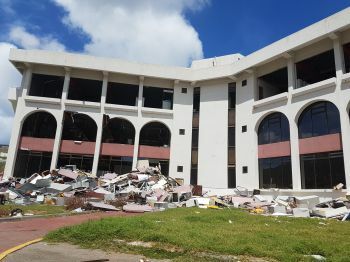 ROAD TOWN, Tortola, VI- For months and ever since the 2011 general elections, Premier and Minister of Finance Dr The Hon D. Orlando Smith (AL) was claiming that the economy was 'robust' and that it was not his government’s reckless spending that had left the country broke. In fact, some months after his National Democratic Party (NDP) swept to power in 2011, defeating the Virgin Islands Party (VIP) of Hon Ralph T. O’Neal OBE, he told the people that the VIP had left the country broke. However, he was left to tell the people the truth after a series of questions posed in the House of Assembly (HoA) between 2011-2015 by the Opposition spear-headed by now VIP boss, Hon Andrew A. Fahie (R1) and Hon Julian Fraser RA (R3), a former Opposition leader. It was indeed revealed that the VIP had not left the country broke and it was under the NDP that millions and millions was going through the door. In fact, former governor John S. Duncan OBE told the public that the NDP was engaged in "reckless spending, lack of priority” and that he was having difficulties representing their position to the foreign and commonwealth office. Then came two category 5 hurricanes, Irma and Maria. After the 2015 snap election it was clear that the treasury was already broke; however, Minister of Finance, Dr Smith insisted that it had money. There was even an internal coup d'etat to remove him as Minister of Finance, spear-headed by party activist and spokeswomen former legislator Eileene L. Parsons OBE. Her thoughts that former Finance Minister (2003-2007) Hon Ronnie W. Skelton (AL) should become Minister of Finance, was unearthed in a scathing letter by our newsroom. The NDP caucus is debating, as they struggle to pay civil servants and after the devastating effects of two category 5 hurricanes that have torpedoed the economy, what to do about the huge civil servant wage bill. 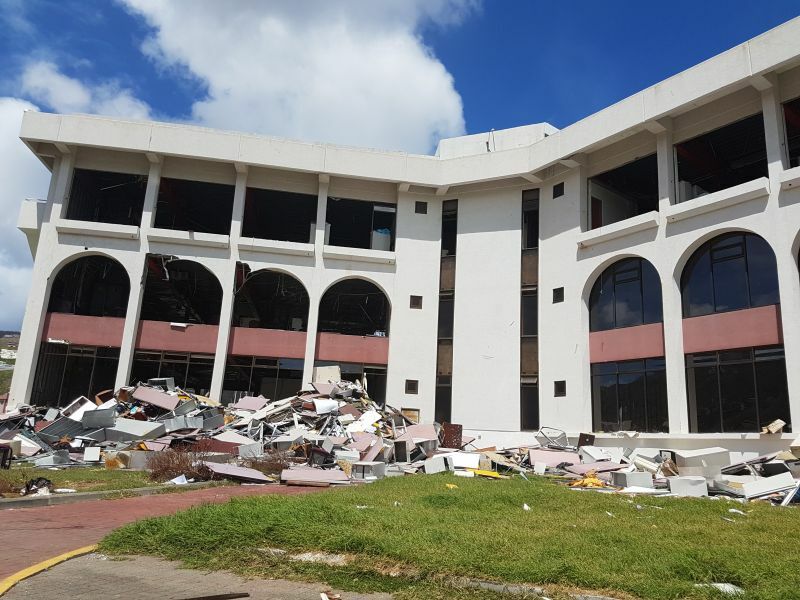 Premier Smith has also met with the World Bank and International Monetary Fund (IMF), two global agencies that have forced other Caribbean countries in the 70s, 80s and 90s to sack public officers to balance their budget, in exchange for soft loans and technical assistance. It remains unclear when a final decision will be made on letting go public officers. Opposition Leader Hon Fahie had called for Ministers of government to take a pay cut in these hard times; however, the administration has not budged. Our newsroom will stay on this developing story. Fahie keep telling these lying NDP to tell the truth to the people now look the same thing we heard was going to happen is happening. @missuncleraph I must agree with you. A number of person have not gone to work since IRMA but these persons are still being paid. Still wasting money. it will sure better to cut salaries than to lay off public servants as we all have to eat and pay bills and more. It is even preferable to cut the ministers and all highly paid officers especially at this time. Ministers of govt no going to want to hear this but that's the best way to go at this moment otherwise your crime rate might start escalating and that no one wants at this moment. Pls think wisely so all and not some can benefit. I totally agree they can also cut all these special duty allowances that employees are getting as well as all those entertainment allowances that heads of dept receive who are they entertaining at this time. In additions, those heads of depts that has a cell phone and still receiving telephone allowance, traveling allowance can also be cut. The government needs to start there before they start cutting employees who are in need of their salaries to be able to provide for their families. Starting with the Ministers. They all have other sources of income. They should renounce to their perks and take 50% cut on their salaries. Good way to help the recovery & rebuilding of their country. But they won't. The voters, their constituents should be asking for this! Its always the small man. The big salary people decide which small people they are going to cut or lay off...WoW.. Weak leadership always take advantage of the poor and vanurable.. The whole NDP party should take a 85% pay cut. They can afford to do so. I'm just sitting back waiting to see how this unfolds. Pay Cut? Layoff? I have a feeling how this is going to play out. Good Leaders start from cutting at the top starting with themselves and others will be happy to follow.. There are plenty of slackers who hardly do anything that we can afford to lay off. So will the ministers be taking a pay cut as well? Barry sa " U wiil hear "
I can bet My last penny if Archie was the Minister of labour lots of these cuts and layoff wont happen..Labour department only making excuses for these companies...as a result the government losing alot of revenew. .A company like. Road Town Road Town whole sale Rige way can afford to keep their staff they have been making millions upon millions over the years I was told Mr Harecraft left ten million un a reserve to pay off the staff that wanted out when the new company took over and though the staff wanted out the new company under influence from the Hate bvi people accountant rwfuse to pay... They hace money. They are trying evrrything to buy the government out... Archie for Minister of labour..
Archie? Is that the guy who said he is the "clean up" minister and would clean up all those cars, boats and other stuff people dump on public property? Even before Irma? Did he keep that promise? We still on this "left the country broke" crap! Stop bawling. Get over it! That was 2011. Geess SMFH!!! And they also need to stop flying first class. Can you Mr Premier at your earliest convenience let us know how much revenue the government loss in cut backs and layoffs from businesses in operation and how much from businesses not in operation? Well well. So it took major devastation for the people to finally hear the truth. Shame on all of you ministers wasting the tax payers money. The queen needs to step in about now because we dont have leaders who care about the people and the country but what they can get out of everything for their remainng time. If we should start cutting or even minimixing salaries than ndp it should start with tou.